Wedding season is in full swing! Yes, we’re still riding that royal wedding wave and we’re not ashamed (clearly!). The flowers had to be my favorite part of the royal wedding of Harry and Meghan. Those flower arches were absolutely dreamy outside of St. George’s Chapel. We loved the lush and overflowing greenery and the all-white color palette. Meghan’s bouquet, in contrast, was much more restrained. She held a very petite and lovely bouquet of flowers in an all-white color scheme. 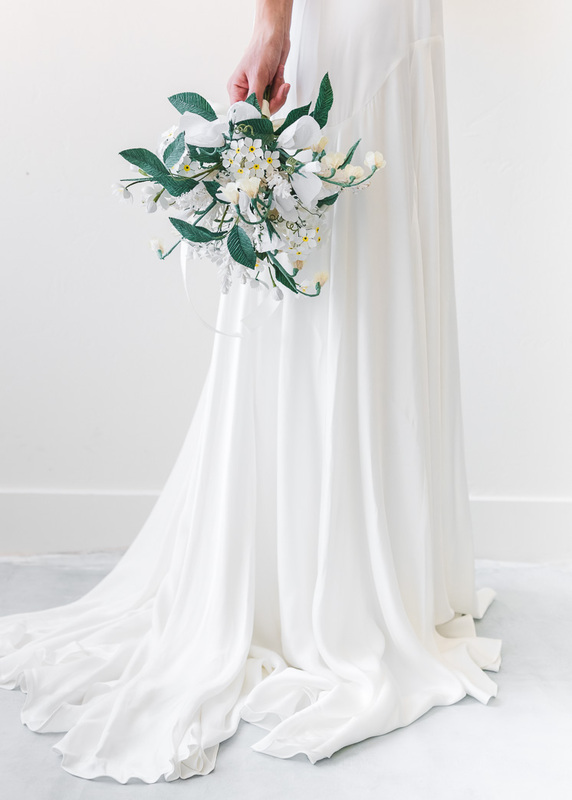 Though I tend to agree with the ‘more is more’ mantra, the simplicity of this bouquet is so stunning! We researched each flower in her bouquet in order to create a very similar paper replica. Did you know it’s tradition for royals to include a sprig of Myrtle in their bouquets? It represents love and started with the wedding of the eldest daughter of Prince Albert and Queen Victoria. Learn how to make each flower for your own royal wedding-inspired bouquet! If you haven’t heard, we’re creating a new paper wedding bouquet every month for all you brides to be out there! We kept it clean and simple last month with a white stunner that would work for so many different styles. 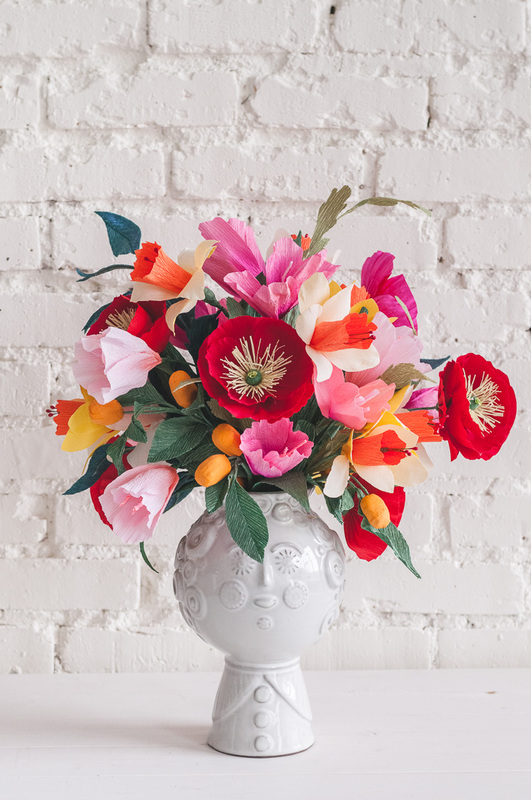 This month’s bouquet is far more colorful and perfect for a more casual, lively gathering! 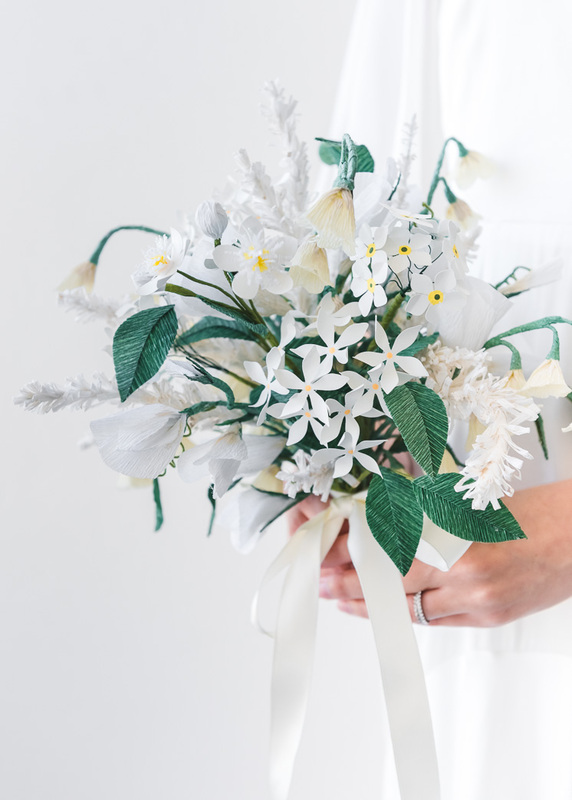 We’re calling it our Cinco de Mayo Paper Wedding Bouquet! 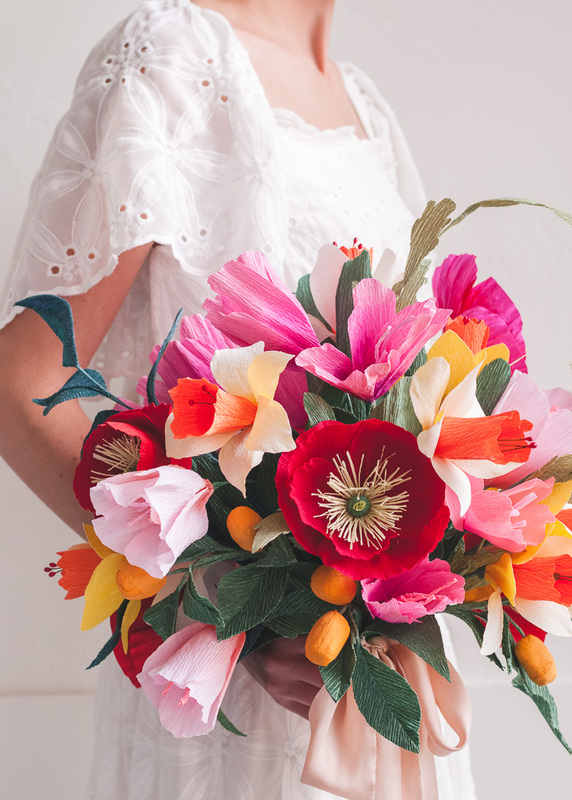 Poppies, daffodils, tulips, and a few kumquats come together to create a bright and springy bouquet. We’ve provided templates and step-by-step instructions so you can recreate this lush beauty for your next event! It looks lovely in a vase as well! Download the flower templates today! It’s no secret that the Lars Girl love flowers! 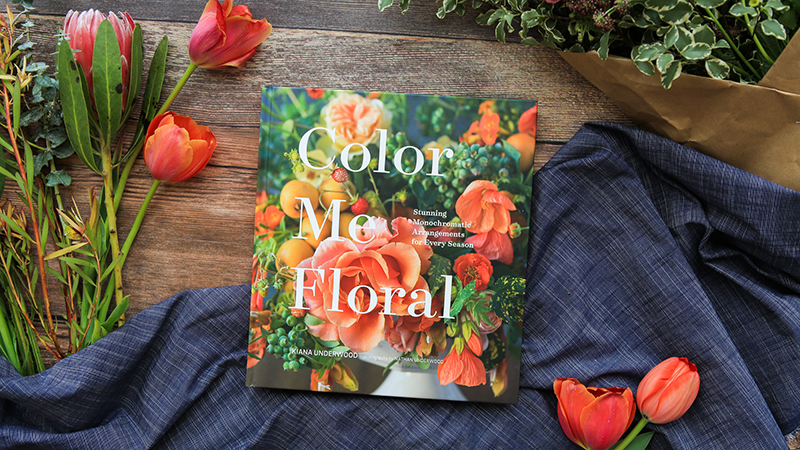 Which is why we’re thrilled to introduce you this gorgeous new book by Kiana Underwood, “Color Me Floral: Stunning Monochromatic Arrangements for Every Season.” This book gives you the inside scoop on creating showstopping arrangements in an easy, concise manner. Kiana is also the mastermind behind one of our favorite floral design studios, Tulipina. An endless source of inspiration! 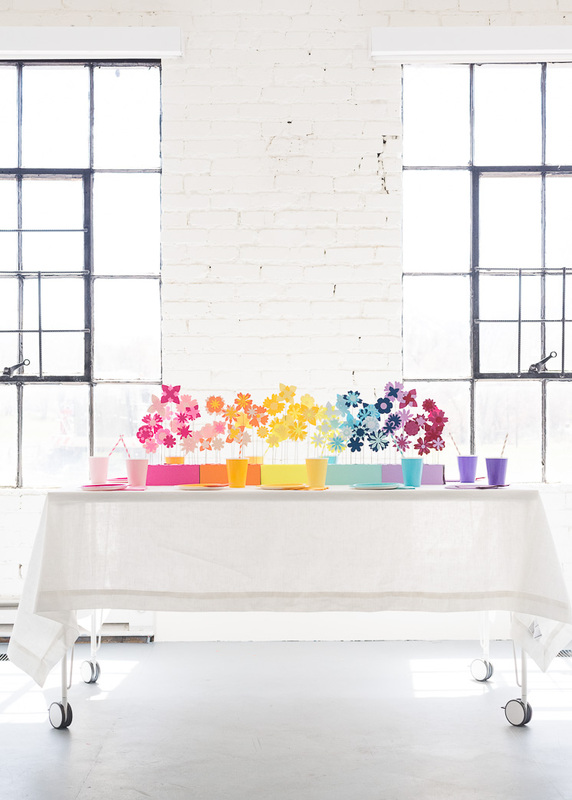 The book is organized by season and by color, so you’ll be able to create lush bouquets all year long! Since Spring is just around the corner, we’re including a step-by-step tutorial for the Pink Spring arrangement from “Color Me Floral.” Isn’t it stunning? 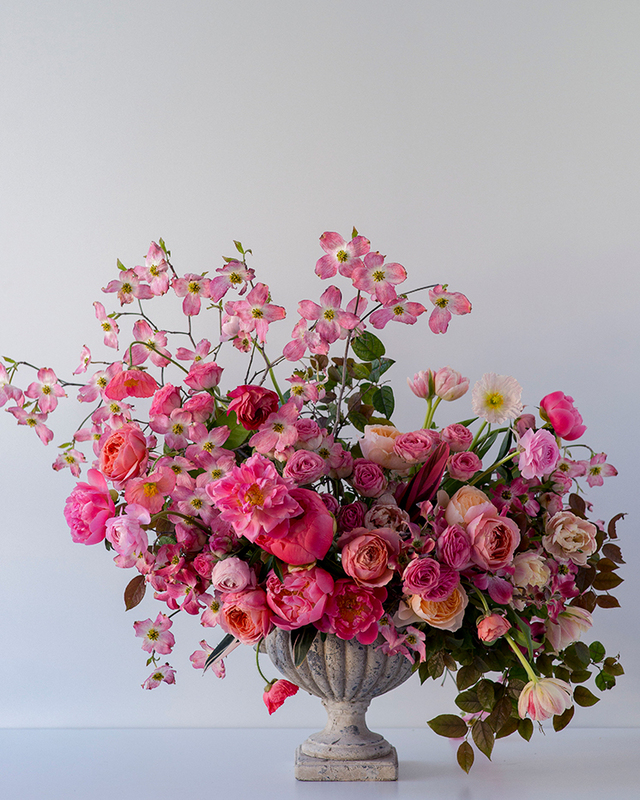 Make this arrangement and make sure to check out the entire book of beautiful blooms! Are you familiar with the Rose Parade? Every year my family would watch the Rose Parade in all its glory. Never mind the Rose Bowl which happens on the same day. Who needs football when you’ve got a magical festival of flowers? The floats have to be completely covered with flowers or natural materials like leaves, seeds, or bark. In addition to floats, there are marching bands, equestrian units, and a royal court. Guys, this is an American pastime! Naturally, we had to create a Rose Parade tablescape since we did one for the Macy’s Day Parade! 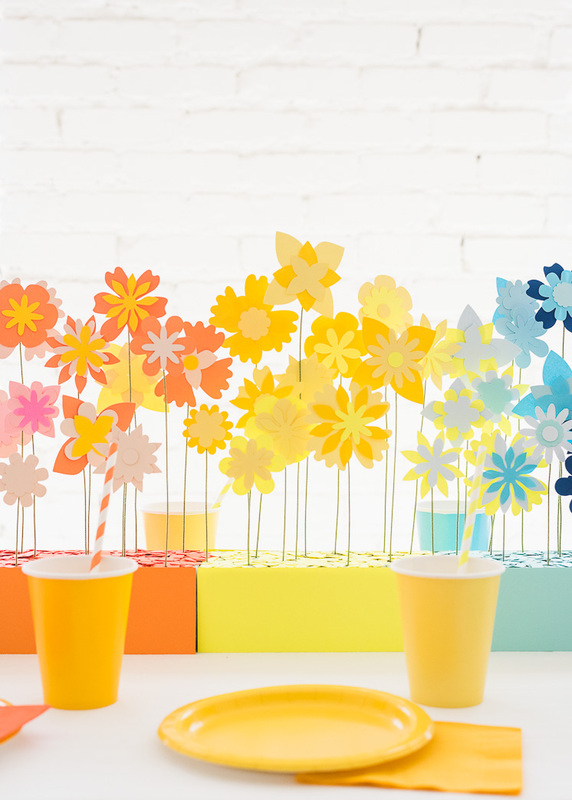 Gather your girlfriends together to make mini floats covered with brightly colored flowers! The floats line the center of an otherwise all-white tablescape in honor of the “White Suitors” aka: all the men and women who volunteer and make the parade possible wear crisp white uniforms. This is a classy occasion, folks! It’d be great as a New Year’s Eve dinner or a brunch on the day of. FTD was kind enough to provide all the beautiful flowers (like this bouquet!) to transform our floats with! 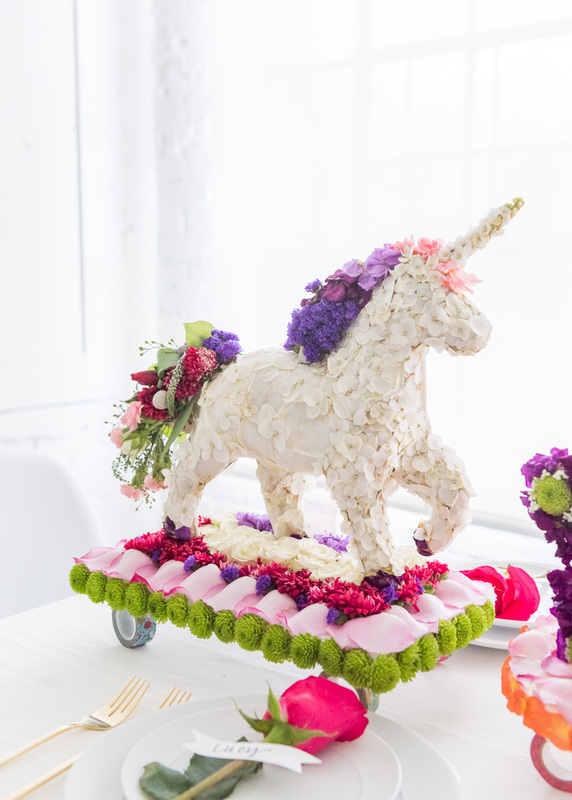 So start prepping for the new year, because a Rose Parade Tablescape is the best way! 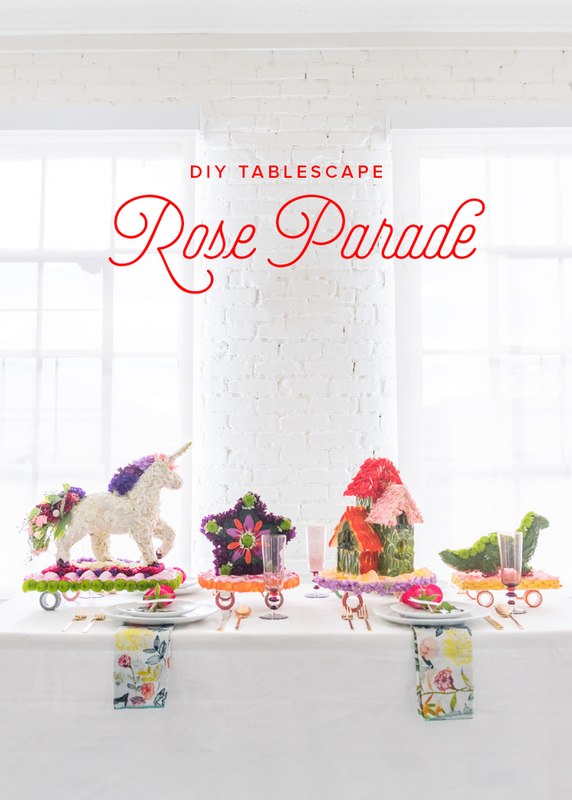 Get the full how-to for the Rose Parade Tablescape!